Clifftop is a quality brick retro style house from the 1960s. The house is located right on top of the cliff at Tathra. 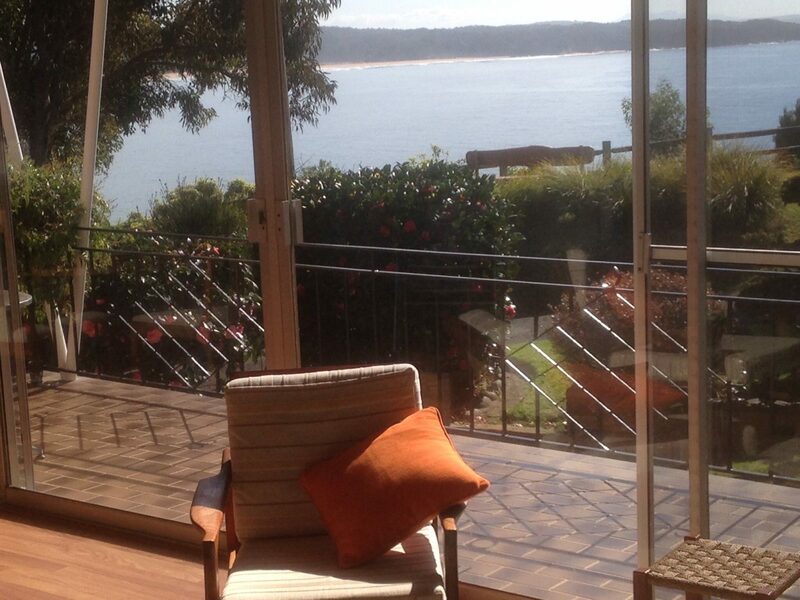 Spectacular views overlooking the bay and beach, and close to the famous Tathra wharf. 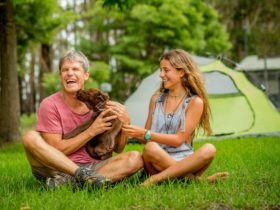 The house is very well equipped with all linen supplied and is serviced personally by the owners Chris and Bruce Hamilton. This home has been in Chris’s family since 1960 and is set up exclusively for holiday rental. 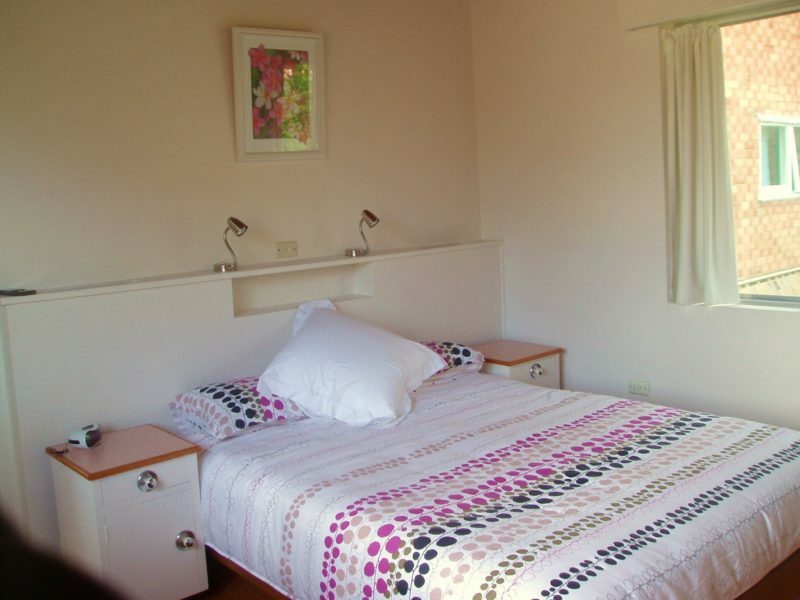 Clifftop has two roomy bedrooms. The front bedroom has a sea view with a queen bed and television. The back bedroom is larger with a king bed (splits to two king singles) and is private, looking onto the back deck and semi rainforest gully at the back of the house. Clifftop is pet friendly for sensible dogs (house rules apply). 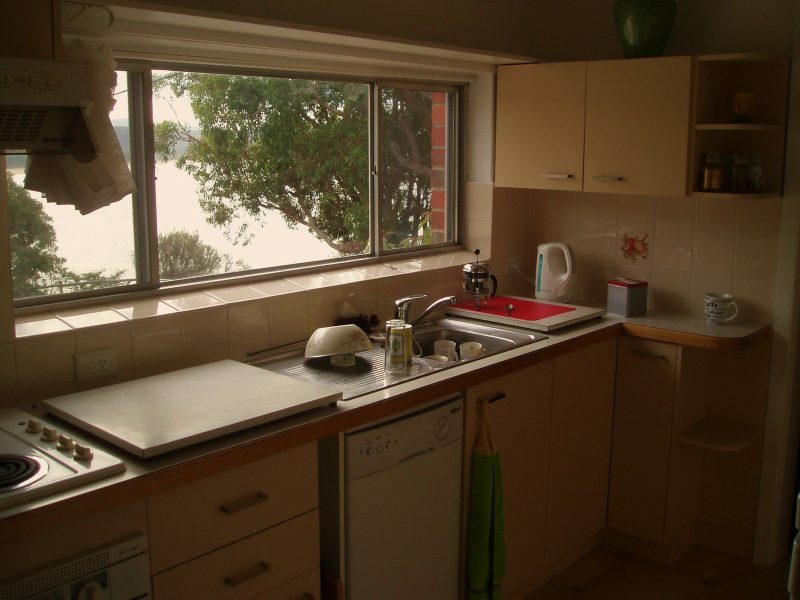 The house is in a quiet dead end street, close to shops, beach and wharf. Supplied is a Weber barbecue, washer and dryer, dishwasher and reverse cycle heating. 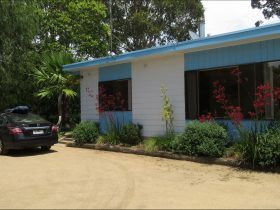 The house is equipped with everything you will need for an enjoyable stay. All linen is supplied and all beds are made before the tenant arrives. 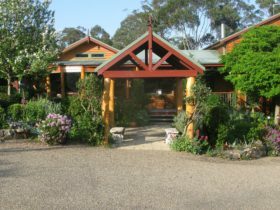 The house is fully serviced prior to occupation by the owners Chris and Bruce Hamilton. All care is taken to provide a clean, comfortable house with personal touches. A complimentary bottle of wine and chocolates are provided for guests to fully enjoy their surroundings and show that they care about your comfort. Weekly price ranges from AUD1300 in winter, AUD1650 in spring and autumn to AUD2200 in the summer holidays. 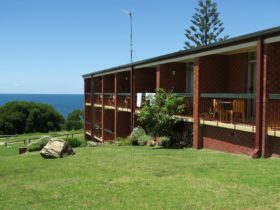 Clifftop generally has a minimum stay of seven nights. The property sleeps four persons. One extra person is possible on the divan at AUD30 per night.